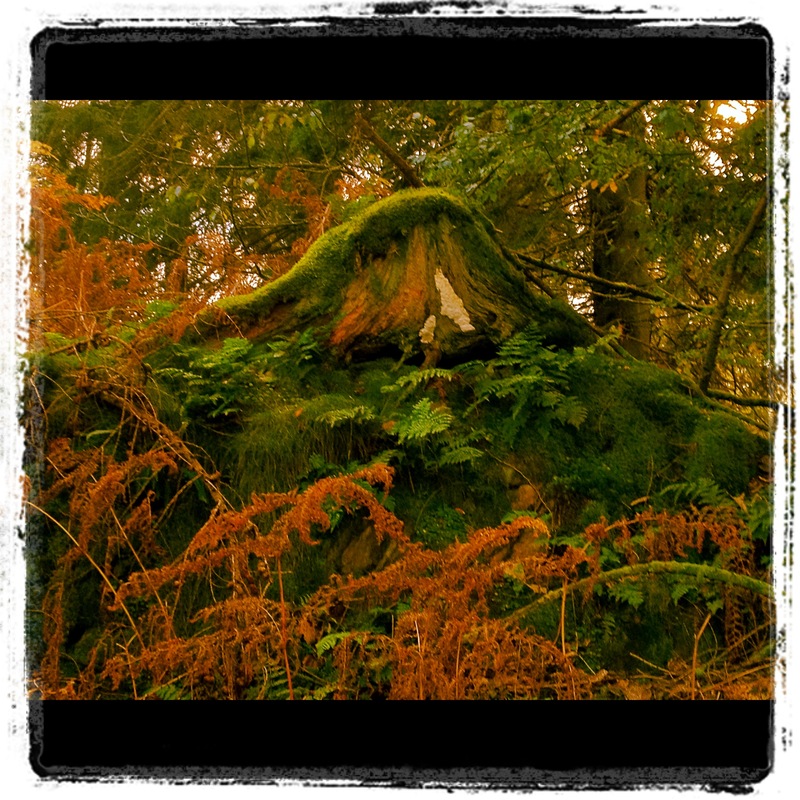 Home » food » Gilpin Lodge. Great hotel, shame about the food. Gilpin Lodge. Great hotel, shame about the food. And we booked L’Enclume for the actual big day but thought we’d make a weekend around it. I’ve been to the Lake District many times, although mostly self-catering, so my experience of Lake District hotels is somewhat limited. I’ve stayed at the Sharrow Bay a couple of times, but the last time was so disappointing, I didn’t want to repeat the experience and as it is part of the collapsed Von Essen group, currently being run by receivers, I can’t say I was rushing to go there. I’d been recommended to the Plough at Lupton which looked very pretty, but unfortunately, I couldn’t get two nights together. A little trawl on the Internet and Tripadvisor came up with Gilpin Lodge. Operating under the Relais & Chateaux banner, I thought that it would be a safe choice. Given that it was also really quite expensive, in fact, eye-wateringly expensive, for The Lake House, I expected a certain degree of luxury. And my booking experience had been positive and the receptionist been incredibly helpful. In fact the service throughout the stay was particularly good. There is a main hotel and also The Lake House, which is designed to be hired out as a whole, but when it hasn’t been, they let off individual rooms as an adjunct to the hotel. 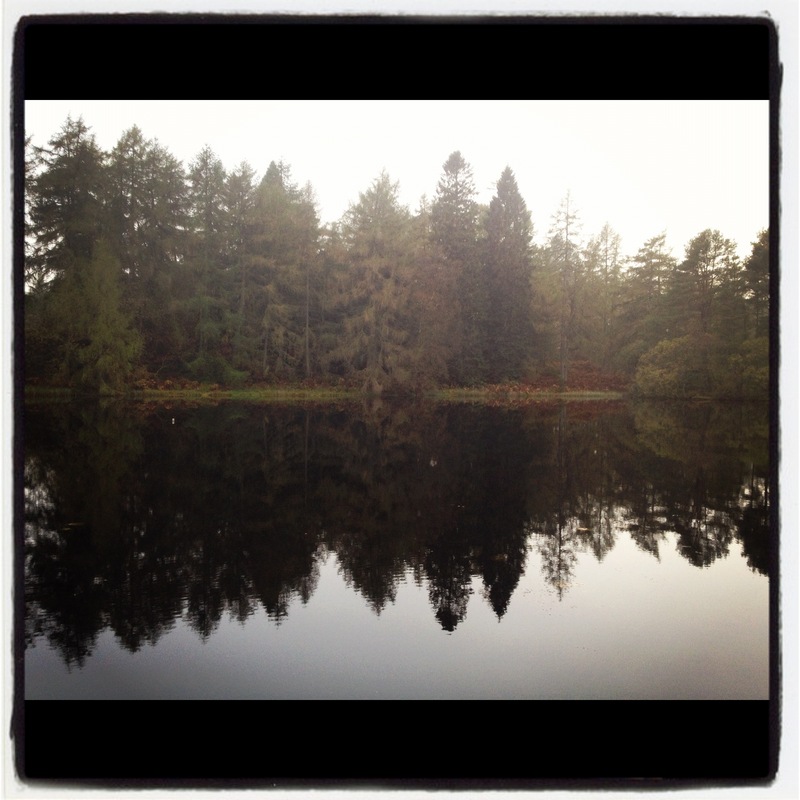 It’s about 5 minutes drive from the main hotel and on a secluded lake, in approximately 100 acres. The use of the grounds is exclusive to the guests and as there are only a handful of rooms, this means that you are fairly secluded. I walked round the lake and saw no one. Perfect. I’m sure that people do talk to each other at, the Lake House but that’s not for me. The house is beautifully furnished in an elegant and modern way. You can have a look on their website to get an idea, but here is the view of the lake from the little area outside, where you can have drinks and cigarettes should you require, whilst you are heated by an outdoor (non-gas) heater. And there’s a lovely swimming pool and sauna and everything else you might possibly need. So I’ve no complaints with the Lake House as an hotel. We had a very lovely afternoon tea (though teabags, not leaves- why? ) and the rooms were comfortable, thoughtfully and carefully furnished, the bedding luxurious and all the details were right – save for the coffee. When you are dropping many hundreds of pounds for a two night stay, you do expect something better than Nescafé in sachets. Or at least I do. I’d read something on Tripadvisor about it being a septic tank issue. I don’t understand this. I have a septic tank and I have coffee grounds. Also, proper coffee is served in the common areas. Even if there is a septic tank issue, that would not be affected by the use of a Nespresso machine, would it? As a coffee purist, Nescafe sachets upset me. I know that that is a middle-class woe, but when you’re paying top dollar there are certain things you expect. Because we couldn’t be bothered to go very far for dinner on the night we arrived, we booked the main restaurant. I wasn’t expecting anything spectacular – it isn’t known as a food destination, but I was expecting something competent. The main hotel is, again, beautifully decorated and it has a wonderful bar and a great wine list. Everything looks good, the feel is right and there is a great atmosphere. Which is why the poor standard of the food was so surprising. It started well. One of the family owners came out and introduced himself, which was a nice touch and we were brought olives and popcorn and some canapes, which were fine. After that, I’m afraid it went downhill. 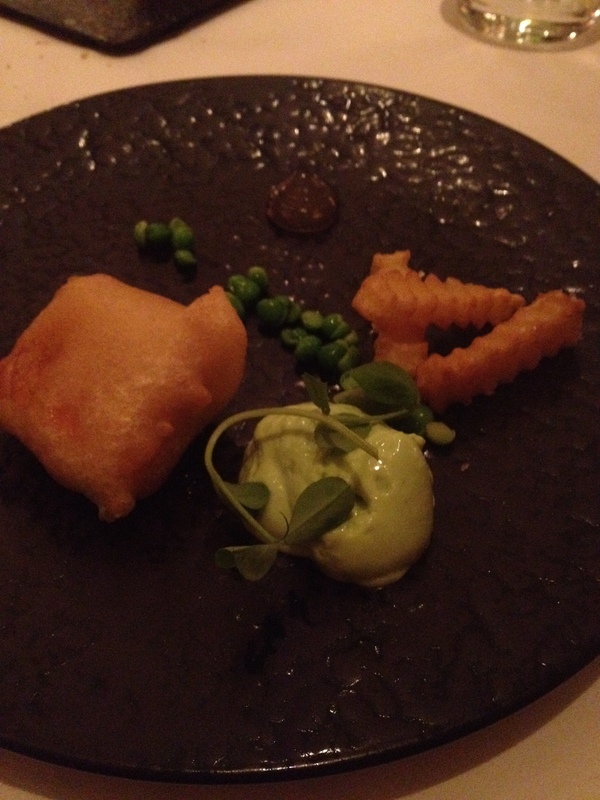 We were brought an amuse bouche of fish and chips with mushy peas. Salmon trout does not work in batter, in my opinion and tasted completely wrong. The dish was greasy and it was too big. It was almost a starter portion. Greasy, with salmon trout. This was truly horrible. My salt cod in breadcrumbs was acceptable but nothing special. It was probably the best thing of the night. My other half chose a quail dish which was satisfactory. I followed the salt cod with butternut squash on spiced lentils. Here it is. Butternut squash, undercooked. Undercooked. Lentils overcooked. Not enough for a main course, in my view. The butternut squash was undercooked and the topping was semi-sweet and unpleasant. The lentils were overly rich and the dish was insufficient size for a main course, in my view. My other half was struggling with his steak, which he said he found inedible and said it was, in fact, one of the worst steaks he had ever had. We had a wine flight with the meal which was fine and the sommelier was helpful. We decided that there was no point having the dessert, because by that time we had totally lost confidence in the kitchen. There comes a point when you just want to end it and we had reached that point. I’m not normally backwards and coming forwards when meals are poor. On this occasion, I’d had a traumatic week and didn’t have the energy for a confrontation. Frankly, when the starters are mediocre and the main courses abysmal, it does not give you any confidence that the kitchen can actually prepare you something substantially better even if you do complain. And it was too late, because they only had 6 30 and 9 30 available and we chose the latter, reluctantly. My other half never likes to complain – he just votes with his feet; but I’m not like that. I also run a business and I’d much rather know when things aren’t right, even if it’s difficult to hear. So I decided that I would write to the hotel, when I got back, to set out what I thought was wrong with the food, in a considered way and in my own time. MY EMAIL WITH THEIR RESPONSE, VERBATIM, INTERSPERSED. I just wanted to drop over a few things at the hotel. I stayed with you this weekend, which was a last-minute booking for my 50th birthday. My birthday was on the Saturday. I really enjoyed my stay at the hotel and I thought that the Lake House was very beautifully done, and I would certainly want to stay again. Thank you. We are also opening a spa at the lake house this winter which should make it more special. There are a couple of things that I would like to raise with you, because I think that they are worth mentioning. In terms of the Lake House itself, the place is pretty faultless and the staff were very helpful. We had an excellent afternoon tea and the citrus cake was one of the best that I have tasted. I will pass your comments onto Ray, the resident lake house chef/manager whom will be delighted. You do need to sort out the coffee and tea in the rooms though. I read on Tripadvisor that the reason for the Nescafe was something to do with the septic tank. I live in a house with a septic tank and have had no such issue. Even if it is a septic tank issue, could I possibly suggest that you get an Nespresso machine each of the rooms. That way, you can control the waste and also provide good coffee. Nescafe in sachets is simply unacceptable in a hotel of this calibre. With respect, there is a significant difference between a home septic tank scenario and a commercial situation where we have to be particularly carefull. Your point about the coffee is noted. I prefer fresh coffee myself and I am aware of nespresso machines. There is one available for guests to use in the bar/lounge at the lake house and i will discuss how we communicate this better. We are looking at nespresso machines but they are quite a considerable investment for every bedroom and like many businesses, the truth is we have to prioritise in the current climate. It is also true that many hotels of our calibre fail to put tea and coffee trays in bedrooms altogether as it provides an additional revenue for tray service. We prefer not to do this and believe a cup of tea uninterrupted in the morning is a human right. We also still hand-make our biscuits, and provide fresh milk over uht. You will have noted special thermos flasks to achieve this. Furthermore, most places just put 2 small bottles of bottled water in the room at room temperature. We put a large flask of iced water as we do not agree with tepid room temperature water. So i hope you will appreciate there are special efforts made in other ways. What is more surprising is the poor quality of the food in the main hotel. Again, the service was impeccable, the decor beautiful and the surroundings magnificent. My own view is that the food let down the hotel and is not of an appropriate standard given the price/target market of this hotel. 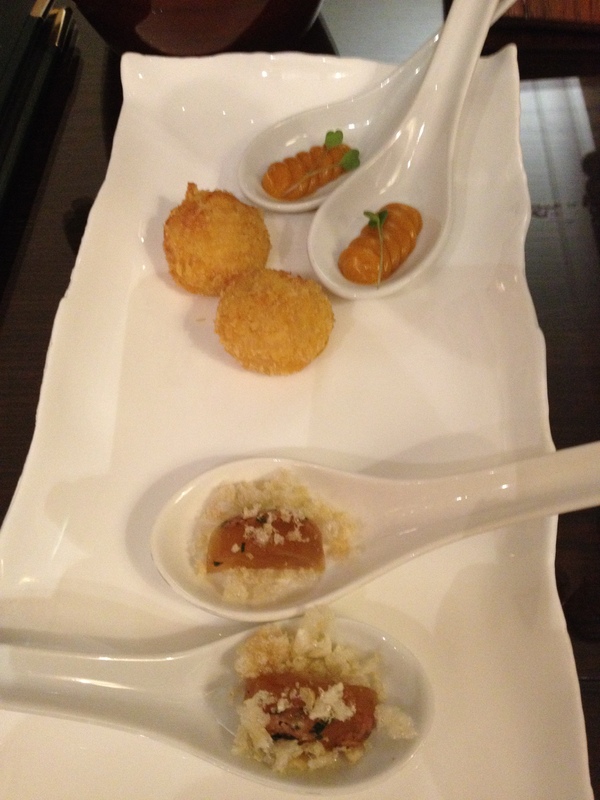 To go into a little more detail, the amuse bouche of fish and chips was too large and the fish batter was greasy. Putting salmon trout in fish and chips simply doesn’t work. There’s a reason you can’t get it in fish and chip shops. I followed that with salt cod which was fine but not anything outstanding and just simply coated in what I think are Panko breadcrumbs. The blobs of sauce that accompanied it were unmemorable and actually I don’t know what they were. My problem with the above comments is that It is so difficult to comment so late after the event. I’ve tried the dishes above and they have been prepared and enjoyed by many people. Yes a batter can be greasy and the cod loses its impact if the sauces are not perfect. It is certainly not panko. Much worse was my butternut squash. Firstly, the dish is not a sufficient amount; two rectangles of slightly undercooked butternut squash with some semisweet topping just doesn’t work as a main course. The spiced lentils were too salty and the whole thing just wasn’t pleasant. This dish is very popular and I think wonderful. 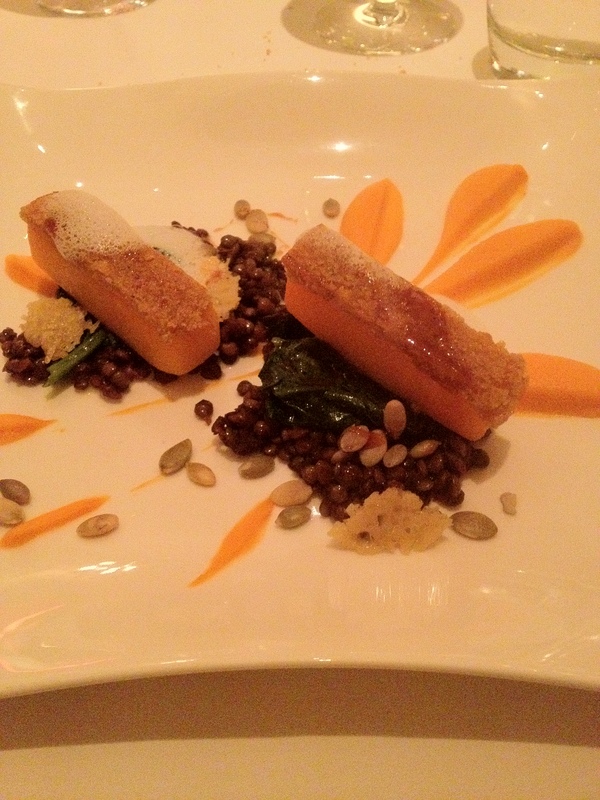 Again, if the butternut squash has not cooked correctly or the lentils too salty this would spoil this dish. My husband had the steak. He left most of it and said it was actually one of the worst things he had eaten for some time. It wasn’t a good piece of meat – not marbled properly – tough and just simply not well cooked. We are aware that some of the fillet on the bone over the weekend was not as good as our usual delivery. We were not sure which guests had which as there was both an excellent batch and poor batch within the same delivery and it was not obvious from observation. We would have sent it back immediately had we been able to identify it. We had a table on Saturday night with 2 steaks orders where one was devine and the other was not. The guests had all sampled the stark difference in taste but with no visible difference. We of course changed the steak immediately and then proceeded to taste every steak before sending it out. The chef, Dan, is usually very good at sending back meat to suppliers which he is not happy with and I trust his judgement that this was difficult to identify. In any event, we did respond immediately when we were aware of any problems and by Sunday we had just decided not to serve the beef. I have consequently refunded you dinner for the friday night. Please, please, please may i ask everyone to tell people when you are not happy. I can understand not saying anything on the night as we find it difficult as a nation, but we really do need to know these things at the time and the next day is perfect. Most good operators are genuinely interested to know and we really do want to make it right at the time. The next day I can then delve into tasting sauces, checking meats, seasoning, question staff whilst memories are fresh. It is almost impossible several days latter as we are serving 300 dishes a night. We were so disappointed with the food we didn’t bother to have the dessert or coffee. A shame. Allen is probably the best pastry chef we have ever had. You might ask why we didn’t say something at the time. If it was just the one dish that didn’t work I would, but the whole meal was poor and there seemed no point because it would have ruined the evening and I don’t think that anything else would have been much better. My overriding impression is that this is food prepared by somebody who is trying too hard. This is food which is trying to look like Michelin-starred food but actually, whoever is preparing it is not, in my view, able to carry it off. I would be much happier with something much simpler and well cooked than the fussy and over-decorated food with which I was presented here. I don’t think that I’m unrealistic on my expectations – I eat out an awful lot both for business and pleasure and I just simply expected good, well cooked food – nothing wildly exciting or inventive – just solid. I don’t think that you are getting it right with the food and I only want to say this because I loved the hotel so much that I was disappointed that the food simply wasn’t up to the mark. You need a really good solid and experienced chef who knows what he’s doing and who can use good local produce to create simple but delicious meals. It may be that I’m completely wrong and your clientele is very happy with the food, but I think it is out of kilter with current trends to some degree and even if it isn’t, it simply isn’t prepared with enough skill. I do feel you’ve been a bit tough on the chef. You’ve only tried 3 of his dishes and i have already accepted we had a problem with the steak. He has only been with us 4 weeks and I personally think he has a great deal of talent. It is a tough period for a chef as they need to gently guide the menu from previous dishes to his own, at a pace which does not effect service/quality as your only as good as your weakest person. I’ve had some great feedback. That said, I’m not saying your comments are not valid either, every dish is hand made, so to speak, so the chefs task is to get every dish exaclty as it should be every time, including getting the suppliers sorted. I’m not sure the butcher has yet recovered from the ringing in his ear. Please be assured that whatever your view now, Dan and his team will only continue to progress each month. You have seen how we operate in every other department and the standard lf the service and this proves that we aim to be perfect in every aspect. Just a very minor comment is that I would have thought that given that it was my 50th birthday on the Saturday, some mention might be made of it, but there was nothing. I wasn’t expecting fireworks or anything but perhaps a glass of champagne would have been nice. We had everything ready for you saturday night which is when your birthday was. We are sorry you did not feel able to dine with us. I do hope that you don’t take offence at my comments – there are meant to be constructive rather than negative. The whole experience was a positive one and I would very much like to stay in the hotel again – I’d just like to know that the food would be better. I do appreciate your last positive remark and again I appreciate you taking the time to write. MY REACTION TO THEIR RESPONSE. My years of training as a lawyer have made me wary of a knee-jerk response so I sat on this for a couple of days before reacting. I do not understand the comment about the septic tank and having to be “particularly careful”. I would have thought that a commercial septic tank would be able to take more waste. And please don’t start any sentence with the words “with respect”. Those words are like a red rag to a lawyer bull, meaning, as they do, the very opposite. I agree with the statement that a cup of tea uninterrupted in the morning is a human right, but not everybody drinks tea, do they? I don’t always want to complain at the time of meal especially if I don’t think there’s any point. They haven’t actually read my e-mail – when they say batter can be greasy and the cod loses its impact if the sauces are not perfect – read my e-mail again – my complaint was not only the greasiness but the fact that they have used totally the wrong fish in the fish and chips – salmon trout is just wrong wrong wrong. And they haven’t actually dealt with the fact that the dish was unpleasant. Do not tell me that, in relation to the butternut squash “the dish is very popular and I think wonderful” what this says to me is “you don’t know what you’re talking about and everybody else is happy so you have no grounds for complaint”. Rubbish. It was revolting and amateurish and it was not cooked correctly and it was not sufficient. I may not be a professional chef or an hotelier, but I know enough to know when things are badly prepared. And the fact that they know that some of the fillets on the bone were “not as good as our usual delivery” ? Perhaps they might have noticed that before serving it, or even after serving it to the people who had had it. I can’t believe that there was no visible difference. A good chef can see a poor cut of meat. A good waiter notices if a steak is mostly uneaten. No one said anything . I really don’t find it difficult to complain and anyone who knows me knows that, but I had been through a difficult week and I simply wasn’t in the mood to have any sort of confrontation. I shouldn’t have had to. And don’t tell me, after I have not had the dessert, because the rest of the meal was so poor that “Allen is the best pastry chef we have ever had” because that just winds me up. What you are saying is, whilst the rest of the meal was poor this would have been good if you’d only bothered to stay and eat it. In relation to the comment that I’m hard on the chef, on the basis that I have “only tried three of his dishes” well, if those three dishes are poor/mediocre, why is that not a fair measure of the kitchen? And clearly he is finding his feet – “he has only been with us 4 weeks” – I am paying for his learning curve with inadequate food. That isn’t acceptable. And in relation to the comment that, in respect of my 50th birthday “we had everything ready for you Saturday night which is when your birthday was. We are sorry you did not feel able to dine with us” . First, I had never intended to dine with them because I had a table at L’Enclume for a long and large lunch so it wasn’t like I had made a reservation which I had cancelled. Second, why not actually tell me that you have arranged something, so I don’t just stay in my room? Am I meant to guess it? Again, that comment just serves to irritate me, rather than make me any feel better. I am pleased with the refund, but I had really not written in with the intention of getting any refund – my intention was to make some constructive comment about the kitchen. The response that I received very clearly demonstrated that they know there is a problem with the kitchen and it was defensive and in my view, not professional. I appreciate that this is a family run business but it is also holding itself out (and indeed charging itself out) as a top-class hotel and should conduct itself accordingly. I think that Gilpin Lodge’s responses were fair. If your meal was so bad as to be inedible, you probably should have mentioned it at the time so they could have rectified the situation. And given that it is a family run business that they are putting heart and soul into, they have every right to be defensive. You may have felt that your comments were constructive but I thought they were rather abrasive. There’s nothing constructive in saying that you didn’t complain because you didn’t think anything else would be any better. It did also seem a bit much to complain that you weren’t given any special treatment on your birthday if you didn’t go to the restaurant that day. And you did receive a refund for the dinner which I think shows that they did listen to your comments and wanted to make amends for your bad dining experience. Thank you for your comment. I disagree. They knew that I wasn’t coming to the restaurant on Saturday night because I had told them that I was dining out for a big lunch that day and would probably only want a sandwich so there is no excuse. I found the tone of their response inappropriate and the food was really abysmal. When it is so bad, I do not think that there is any point complaining because of three out of four dishes were bad, one comes to the view that the kitchen is just not good enough. And the reason that I didn’t complain at the time (as I would normally have done )was because my father had passed away five days earlier and I didn’t want to have any sort of unpleasantness. But that doesn’t detract from the fact that it was sub-standard. The hotel was beautiful, the food was not. They seem to have some communication issues. And this is not, in my experience, how a top-class hotel responds to criticism. I also run my own business and very keen to get feedback. It was meant to be constructive because I thought the hotel was very pleasant but really badly let down by the restaurant and it certainly wasn’t done to get a refund which, incidentally, I have not yet received. As a former judge in the Time Out Eating Awards (when they had proper judges and an awards lunch), I can see where both sides are coming from. I am rather surprised that the hotel felt the need to answer in so much detail. In my new role as restaurateur, I must admit that I would only have sent a simple paragraph saying that we received no complaints, etc – if I’d respond at all. The bottom line is that this is Nicky’s blog so she if free to say whatever she thinks about the food she buys. Everybody’s tastes are different and the whole point of food reviewing is that you find someone whose tastes agree with yours and you take more notice of what they say. Or the opposite. For many years I avoided everywhere that Michael Winner slated and sped over to the restaurants he slagged off (if I could afford them! ).